2018 marks EBTC’s 40th Anniversary. 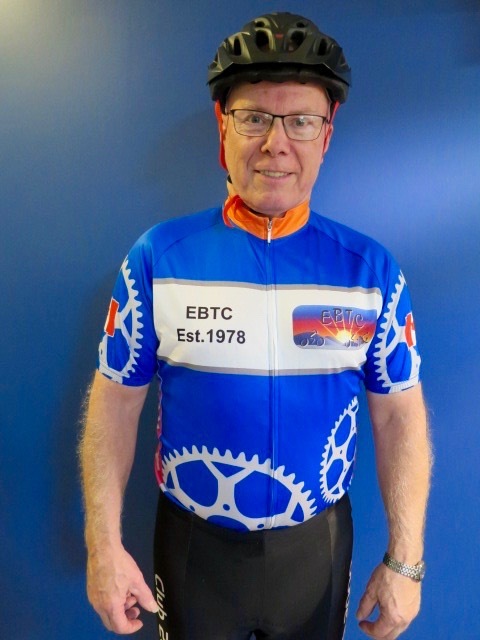 Over four decades hundreds and hundreds of rides and events have been enjoyed by EBTC’s many members … with many thanks to our great volunteers. To commemorate our 40th year, a jersey and buff are available for sale starting immediately. The jersey is $45 and the buff $8.00 for members (non-members: $90 for the jersey and $16.00 for the buff). There is a jersey sizing kit to help you order the correct size. 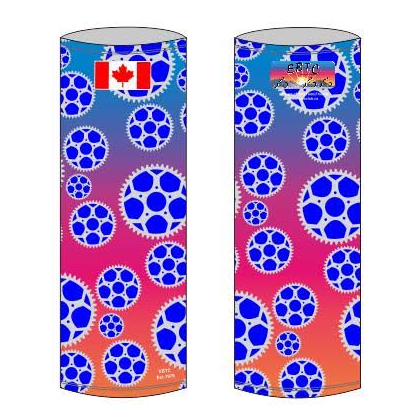 It will be available at the social we are having at the Highlands Community League from 2:00 pm to 6:00 pm on Sunday, December 3 (with optional activities and hot beverages … details to follow in the EBTC newsletter!). The sizing kit will also be at the Annual General Meeting (AGM) in February. 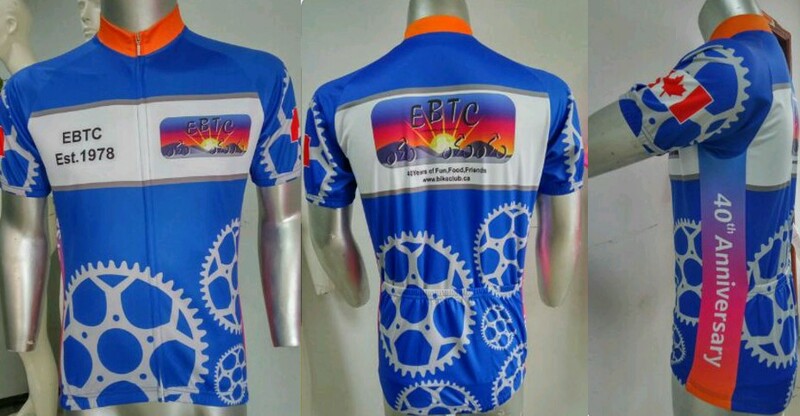 The minimum order quantity is 50 jerseys so we will place orders with the manufacturer as appropriate. When your jersey arrives, you will receive an email to arrange pickup. We’re hoping lots of jerseys will be ordered at the social to meet the minimum order quantity of ‘50’ so that members can pick up their prized purchases at the AGM along with their 2018 license plates. Please note that jerseys will be pre-ordered only. The club will not be carrying inventory because of the cost associated with unsold units. So place your order early to avoid disapointment. Before you order your jersey/buff, register for your 2018 membership.